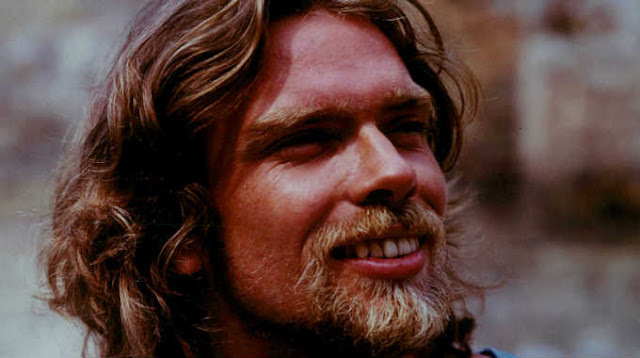 What Richard Branson Wrote To His 25 Year Old Self Is A Lesson We Should All Give Our Children Today! Home » »Unlabelled » What Richard Branson Wrote To His 25 Year Old Self Is A Lesson We Should All Give Our Children Today! I’m writing to you from 40 years in the future. You’re now 65-years-old, and while you’ve lived a happy and healthy life with no regrets, I have some advice for you. Congratulations on launching Virgin. I know you’re still trying to find your feet and work out the ins and outs of business, but stick with it. I can guarantee the best is yet to come. While I don’t want to spoil the mystery and fantasy of the unknown, I can tell you there will so many wonderfully rewarding moments and the most incredible people in your future. And, yes, many of your wildest dreams will come true. But there’s a clause: you will have to work hard to make them happen. The road ahead is pock-marked with many bumps, chasms and forks. There will be times where you want to give up and throw everything in. Don’t. By turning challenges into opportunities, you will find success you never realized you were capable of achieving. But you won’t always succeed. In fact, you will fail time and time again. That’s okay though, because failure is an inevitable part of every personal and entrepreneurial journey. It’s important to pick yourself up, retrace your steps, look at what went wrong, and learn from your mistakes. ‘Entrepreneur’: now there’s a word that you might not be overly familiar with yet. But you will be. It’s a word that will become synonymous with your name and your approach to business. It’s also a word synonymous with risk. You took a risk when you left school to start Student magazine, and again when you moved from Student magazine to Virgin Records – and both paid off. Continue to take chances. In the future how ‘lucky’ you are in business will be determined by how willing you are to take calculated risks. Let your dreams guide your path. Keep the people you love and respect close to you. Don’t be afraid to delegate responsibility. Don’t let the naysayers deter you. Screw business as usual and do things your own way. The Virgin brand will take you places other than music. Your ability to take calculated risks and your incurable optimism will lead to great heights – both in business and in life. Like one of your favorite author’s, Dr Seuss wrote, “Oh, the Places You’ll Go!” Reach for the moon – it’s yours for the taking, if you go out there and grab for it with both hands”.